El Camino de Santiago is a mediaeval pilgrimage route that runs along northern Spain to Santiago de Compostela. 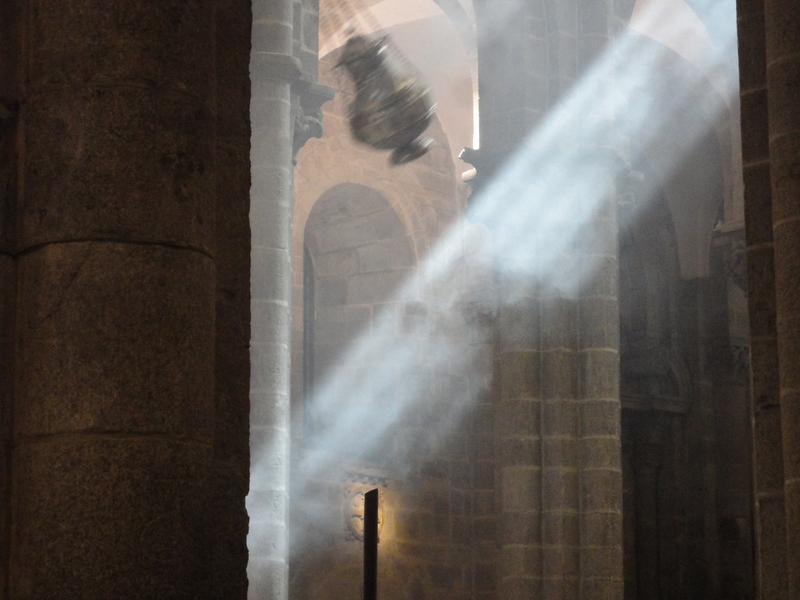 Botafumeiro is a censer that is swung at special services in Catedral de Santiago in Santiago de Compostela. It is swung at the special Friday evening mass, and occasionally at other masses too. I witnessed the occasion at Friday evening mass last week. It takes place at the end of the mass. The censor is lowered, filled with burning charcoal, then with eight men pulling on ropes, it swings into the transepts, almost to the ceiling. It is quite dramatic when first seen, accompanied by loud organ music. Each day at midday a special mass for pilgrims. Saturday midday mass, the censer was swung, as it was at the mass following the midday mass on Sunday. The clergy in attendance were robed in purple not green. Those pulling the ropes robed in claret. Friday and Saturday, the censer was stopped. On the Sunday it was allowed to swing and slowly slowly come to a halt. The description on Wikipedia, like most things on Wikipedia, false. 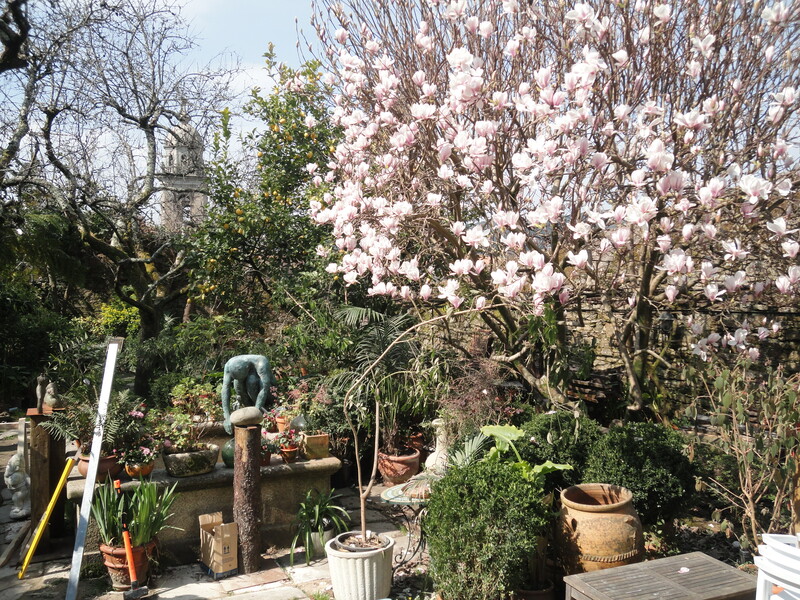 No way was 40kg of charcoal and incense shovelled into the censer. Nor did the swinging censer fill the cathedral with smoke or produce large volumes of smoke. 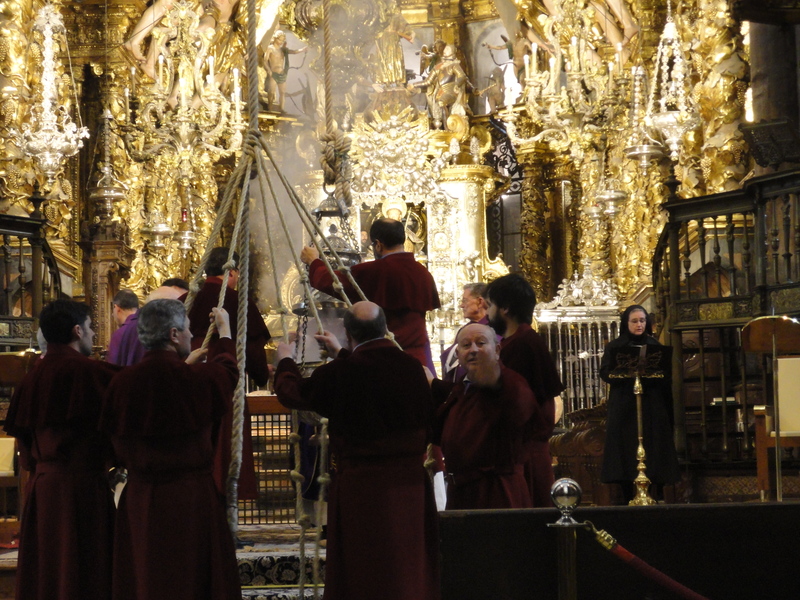 Botafumeiro is normally found suspended at the end of the rope, not kept in the cathedral library. The Botafumeiro is suspended from a pulley mechanism in the dome in the centre of the cathedral, the entire mechanism flexes as it is swung. 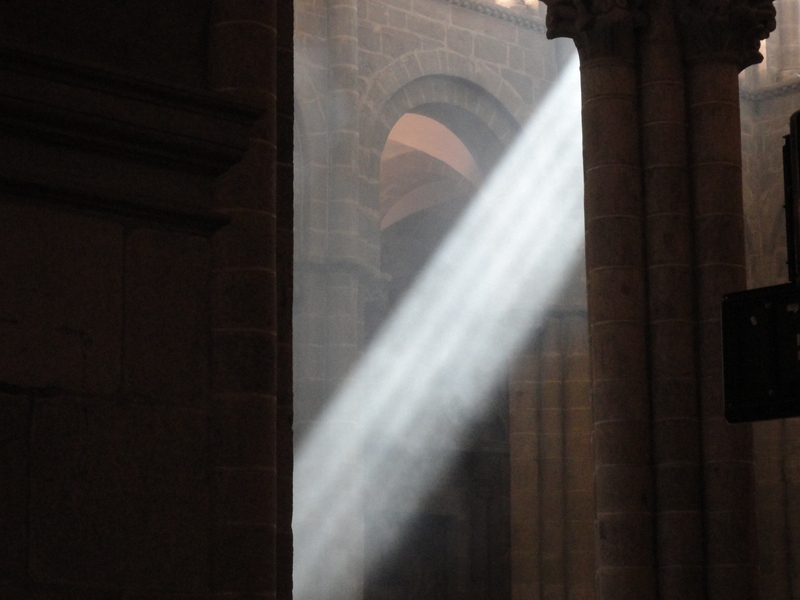 Santiago de Compostela, is one of the most important sites in Christianity, and the destination for pilgrims, because within Catedral de Santiago lies the remains of Santiago Apóstol, the Apostle James, brother of John the Baptist, and follower of Jesus. Apostle James travelled far, as far as what is now Spain and Portugal. On his return, he was executed by Herod, and his body dismembered. Two of his followers, gathered up his remains, and set sail in an unseaworthy boat. They somehow traversed the Mediterranean, passed through the Straits of Gibraltar, and were shipwrecked in Galicia. James was entombed, later by his side, his two followers. Several hundred years later 820 AD, the hermit Pelagius discovered the tombs and conveyed his finds to the Bishop Theodemir. 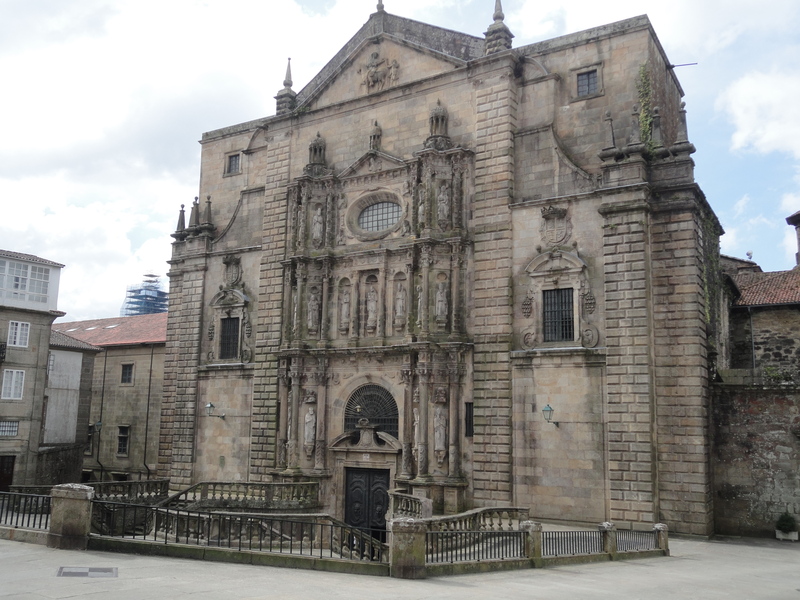 News reached King Alfonso II who ordered a chapel be built, now Catedral de Santiago. 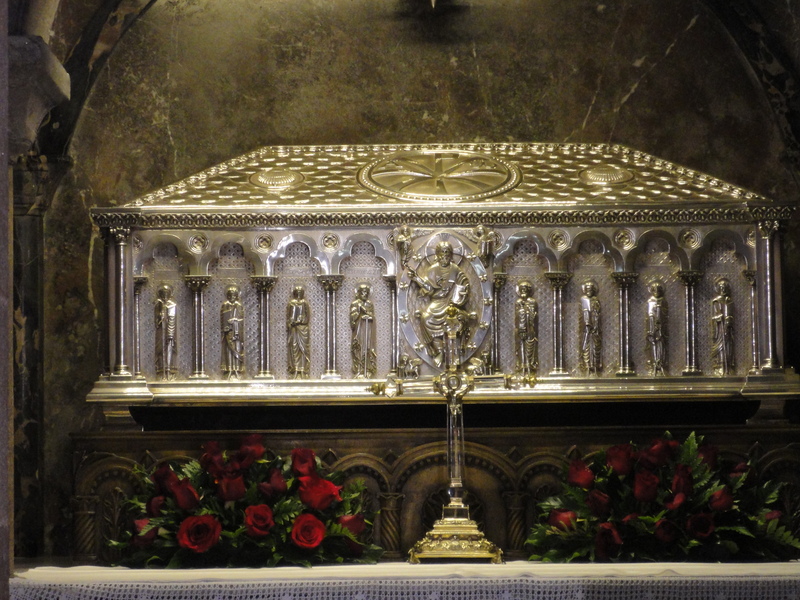 The remains of St James are now in a niche in a casket in a tiny crypt. Each day at midday a special mass in Catedral de Santiago for pilgrims who have walked El Camino de Santiago. Each and every day a special mass in Catedral de Santiago for pilgrims who have walked El Camino de Santiago. Today Sunday, the cathedral packed, standing room only. No sooner had the mass finished, then another mass presided over by the Bishop. For the midday mass, there was no swinging of the censer or Botafumeiro, but for the mass that followed there was. The difference to the other days, it was allowed to slowly slowly, swing to a halt. Emphasis on religion, El Camino de Santiago, Santiago de Compostela, the region, Catedral de Santiago. A large selection of books by Paulo Coelho, including a window display. 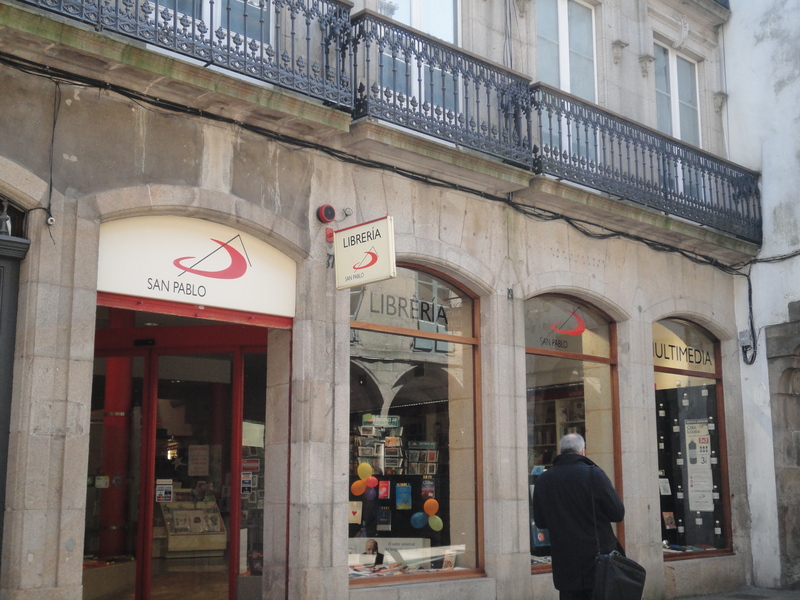 But not only San Pablo Librería, the cathedral shop and the pilgrims shop, also had Paulo Coelho books. Further down the street, another bookshop, with interesting books to read in the window display, Paulo Coelho, Naomi Klein, like bookshops used to be, books you may wish to read, not hyped celebrity crap. Each day at midday, a special mass in Catedral de Santiago for pilgrims who have walked El Camino de Santiago. I was not sure what to expect, a cathedral full of pilgrims, pilgrims lining up to be blessed. From what I could follow, a list of pilgrims read out. 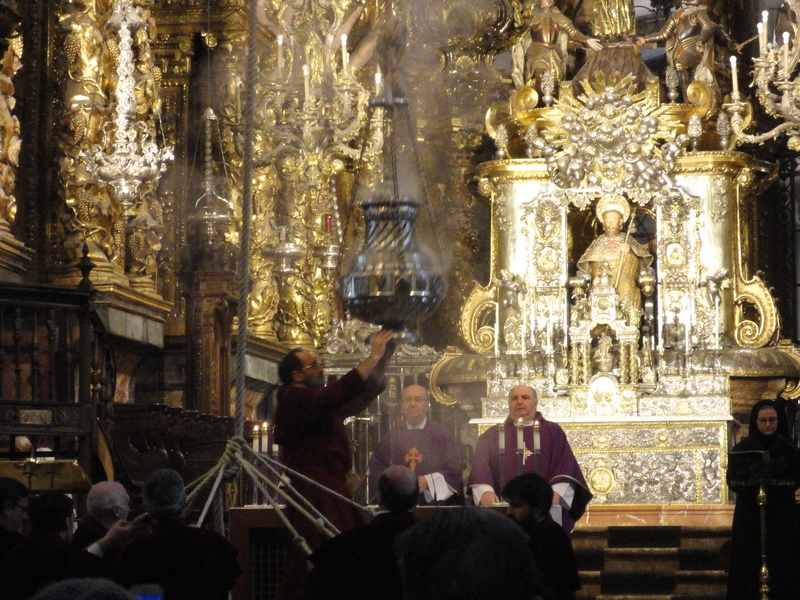 As with special mass last night, the censer or Botafumeiro was swung. 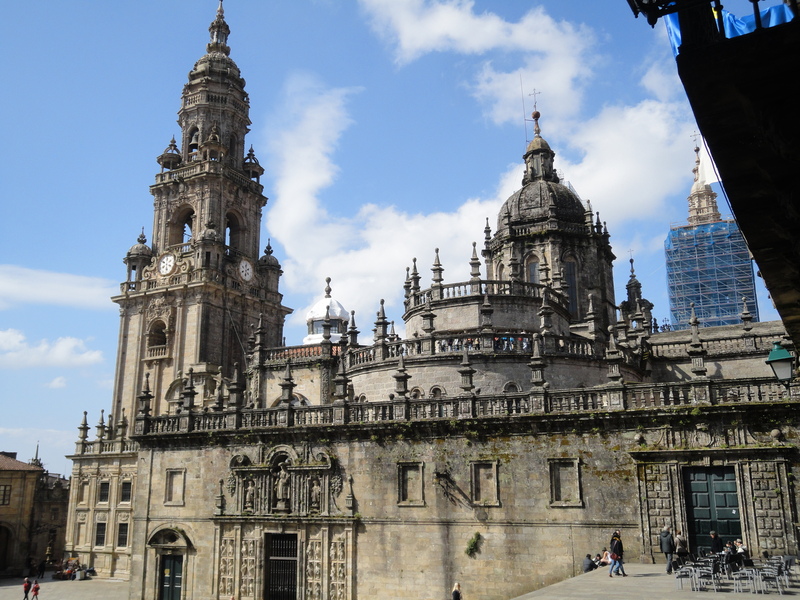 Catedral de Santiago is the final destination for pilgrims walking El Camino de Santiago. Catedral de Santiago is the final resting place for the remains of Santiago Apóstol, the Apostle James, brother of John the Baptist, and follower of Jesus. Midday each day, a special mass is held for pilgrims. 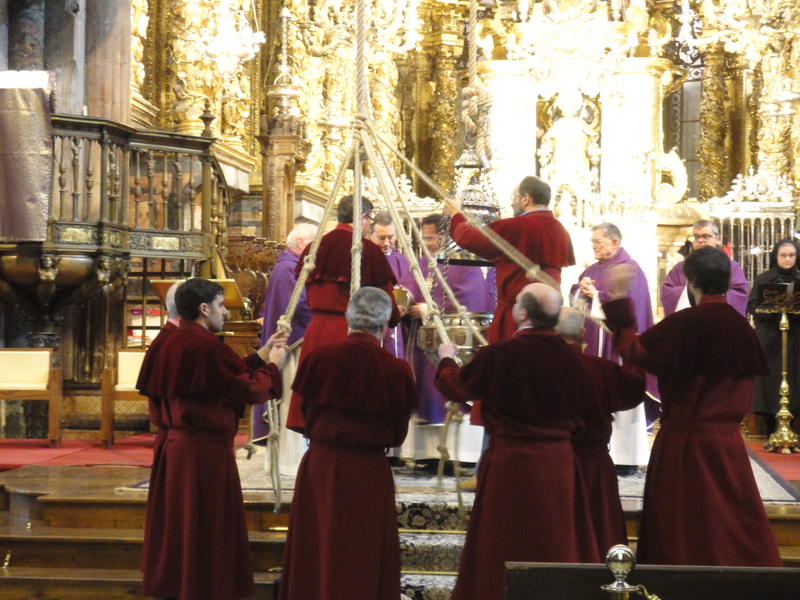 Friday evening a special mass is held where the Botafumeiro is swung. I attended mass four times, spent different times of the day wandering around inside the cathedral, sitting in quiet contemplation, even one evening walked the stations of the cross, had a chat with the priests, Holy Communion from the Bishop. What struck me looking at the gold and the figures that are the centre piece, that if I was not aware I was in a Catholic Church I could have been in a Hindu temple as the figures were very much reminiscent of that seen in Hindu art. The gold centre piece is breathtaking, as is the swinging of Botafumeiro. The centre of the gold centre piece, is not as would expect Jesus or Mary, but Santiago. You can walk up and through, and hug the Saint. Buried below in a tiny crypt in a silver casket are his remains. Before visiting the cathedral, I would recommend first a visit to Monasterio de San Martín Pinario, which contains the original carved choir stalls from the cathedral. 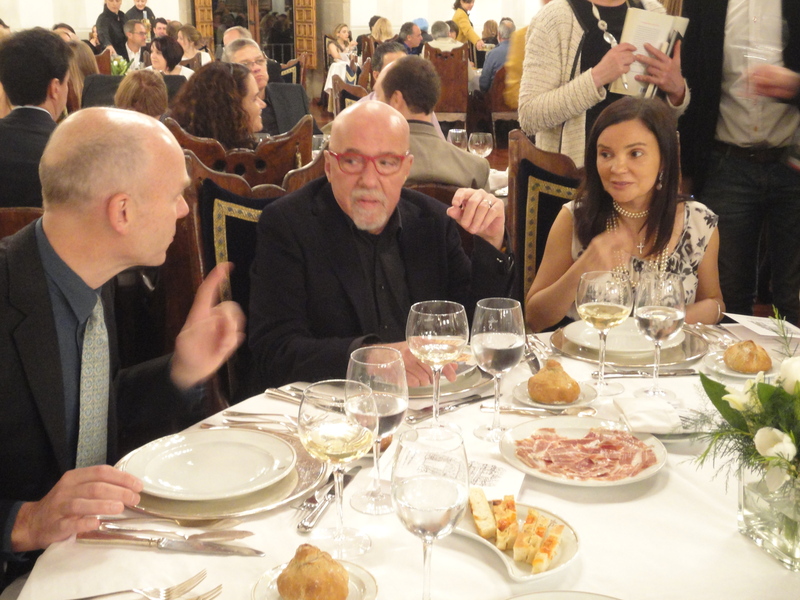 Each year Paulo Coelho celebrates St Joseph´s Day with his friends. 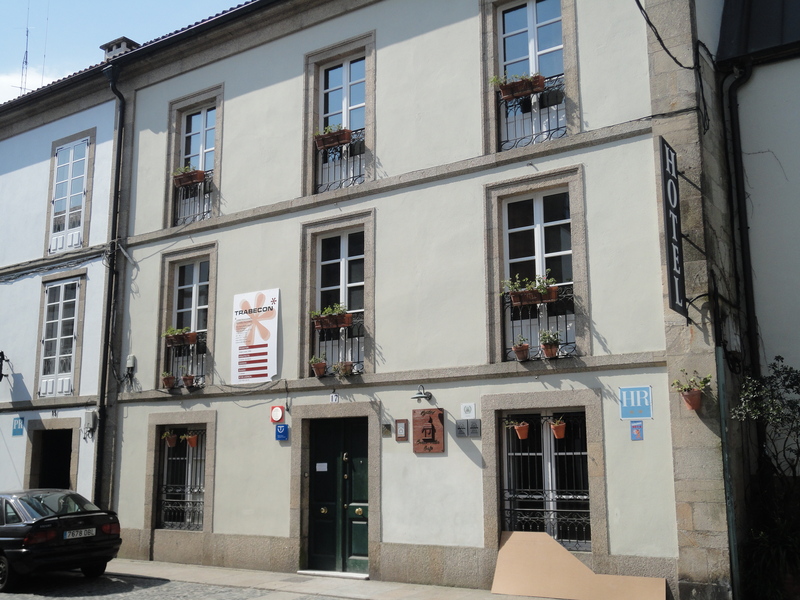 This year in Santiago de Compostela in Paradores Hostales de los Reyes Catolicos, a former hospital for the poor and infirm, now a Parador. Pilgrims follow a path, follow their dreams, follow the signs. Joseph followed the signs when he escaped to Egypt with the two-year-old Jesus. Pilgrims followed El Camino de Santiago to Santiago de Compostela. El Camino de Santiago was an important medieval pilgrimage route. By the mid-1980s it was almost forgotten, until Paulo Coelho walked The Way and wrote of his experience in The Pilgrimage. Reception with cocktails was held in the former chapel. 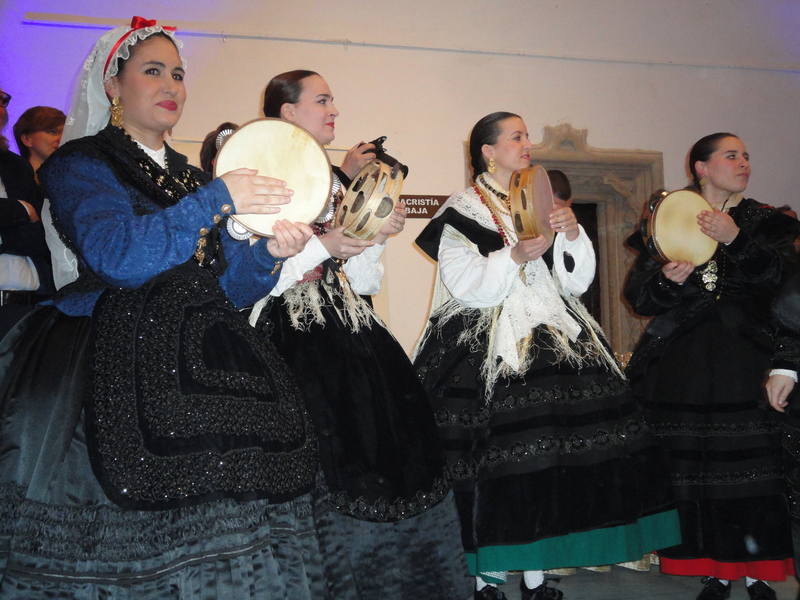 Traditional music and dancers. Followed by prayers. Then dinner in a spectacular dining room. The dancers, led by Paulo Coelho holding a bagpipe, led us into dinner. 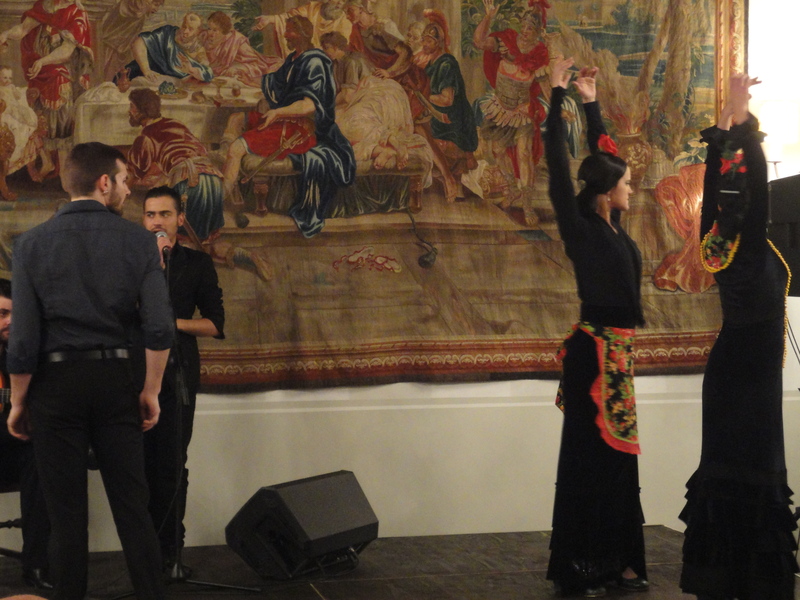 During dinner, amazing flamenco, or Galician variation of flamenco. Midnight onwards, music, book signing. Built between IX and XIX centuries, Monasterio de San Martín Pinario, illustrates the wealth of monasteries. Even the entrance doors have gold leaf. Leading off the main aisle, impressive side chapels. The choir stalls carved walnut. The church is now a museum.It contains a printing press and wood blocks used for printing. Where did the monks go? Where did all the wealth go? I looked in Hotel Costa Vella where I would have stayed. I had a chat with the architect. He explained they were using materials that matched the house. I had learnt earllier that Paulo Coelho had stayed at the hotel. 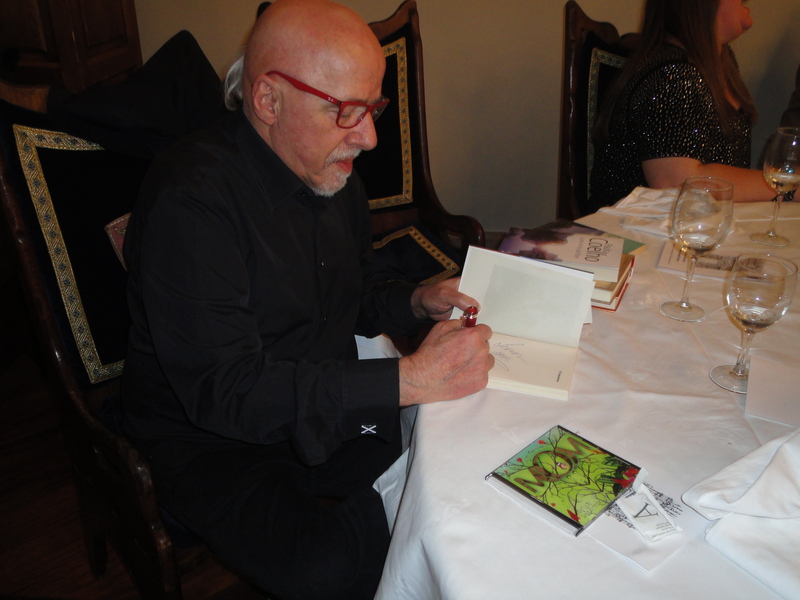 Paulo Coelho wrote, The Pilgrimage describing his experience of walking El Camino de Santiago. 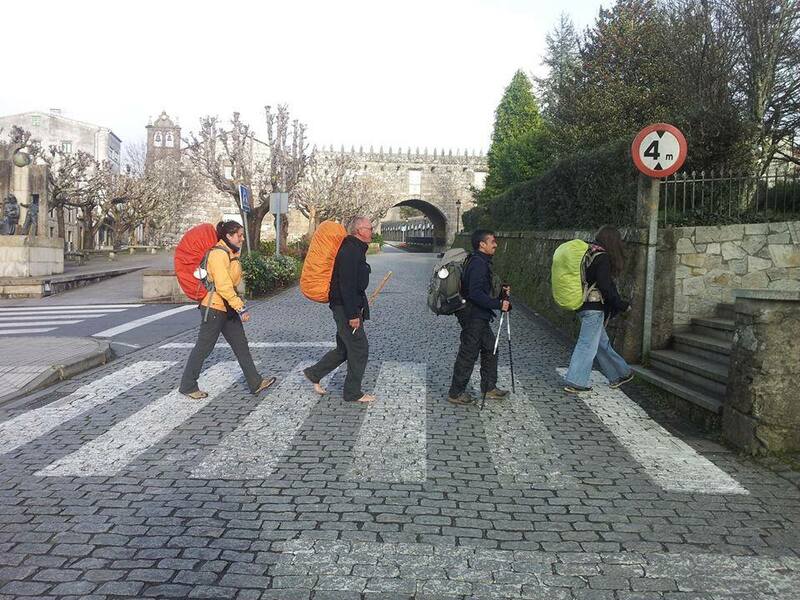 Final destination for pilgrims walking El Camino de Santiago is Santiago de Compostela. You are currently browsing the archives for the El Camino de Santiago category.